Spring is a season that brings a multitude of change. In addition to the weather growing warmer, more daylight is granted to participate in familiar and unfamiliar outdoor activities. Though Daylight Savings Time may seem inconvenient on the Sunday an hour of sleep is lost, it gives opportunity for growth− and not just in the garden. American Daylight Savings Time began during World War I and was officially adopted by President Franklin Roosevelt during World War II. It has a history of inconsistent use in the U.S., which is why, in 1986, the government legislated dates and times for each time zone to enact Daylight Savings Time, beginning on the second Sunday of March and ending at on the first Sunday of November. There are many benefits to Daylight Savings Time, one of the more obvious being daylight later into the evening. This benefit can even save energy as interior lights will not need to be used as frequently. The question arises, what can you do to make the most of the sunshine? In the spring months there are spikes in popular activities such as fishing, golf and gardening. Because of the showers and sun, springtime is the perfect time to be out in the garden. 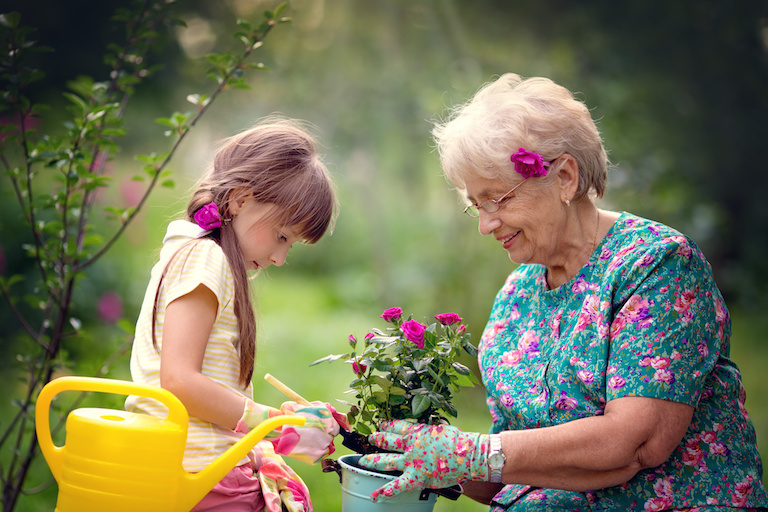 Visiting a local nursery or garden center can be a fun outing that can turn into a productive hobby. For sportsmen and even spectators, golf and fishing are excellent options for spring because mild warmth and breezes preface summer heat. Packing a picnic to eat at a local park or on your porch. Creating a bird feeder to display on your porch. This is a fun craft that can be done indoors or outdoors and will also give entertainment well into the summer! Spring cleaning. A fun start could be organizing old pictures into boxes or albums and finding hidden gems. Finding new favorite strolling spots. A walk around the neighborhood is refreshing, but you can mix it up by trying a new route at the park or around a farmer’s market. Having a tea party on the porch with grandchildren, children or friends. Exchange memories and stories while dressed in your best. The most important thing to remember is to do something you enjoy, and maybe even try something new. Just as the clocks spring forward, you too can spring into action and seize the opportunities for the fun the upcoming season has to offer.